Deck the bathroom! 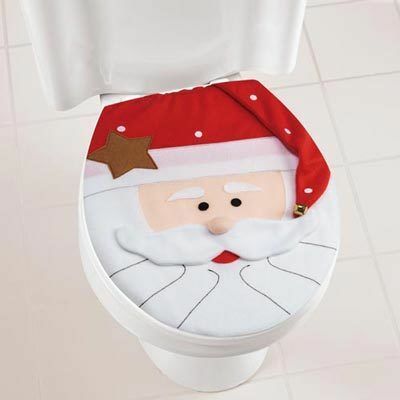 Cheerful Santa toilet seat cover with fun jingle bell accent, slips over toilet seat for easy placement. Polyester felt. Imported. One size fits most. Approx. 16"l. Hurry! Quantities are limited!